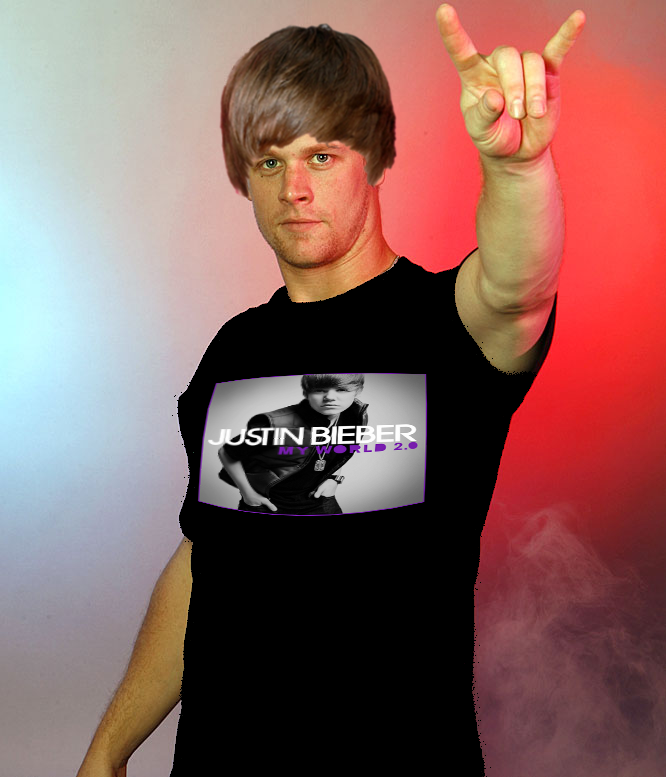 Morneau Unwillingly Added to Bieber Wolfpack | That's Twins Baseball. A Minnesota Twins Blog. TARGET FIELD — The Minneapolis downtown area was buzzing with screaming girls and baseball fans Tuesday evening. The Twins were playing the Tigers and right across the plaza something called Justin Bieber was having a concert at the Target Center. The staff here at TTBB still isn’t sure what the hell a Justin Bieber is but he looks younger than some of Jim Leyland’s mustache hairs but older than Scott Baker. While in town Bieber tweeted something so profound that it should be part of SNL’s “Deep Thoughts” skits…..
There’s no doubt that Morneau caught wind of this tweet from the boy with a Dorothy Hamill haircut. That night Morneau struck out 3 times while the rest of the team pounded the Detroit Tigers to an 11-4 victory. We are still trying to confirm via our secret sloth in the clubhouse what his problem was that night. We believe he was either in awe to be mentioned by Justin Bieber or he was just so angry he imagined the ball had a mop of hair on it and swung too hard each time. Mauer and Morneau homer in same game thanks to performance enhancing jackets.